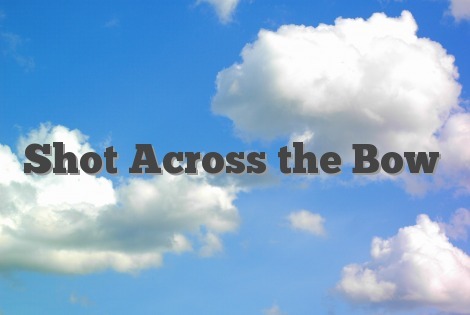 What does the idiom “shot across the bow” mean? A shot across the bow is a warning against continuing with a course of action. The idiom comes from naval combat; the bow (rhymes with cow) is the front part of a ship, so a shot fired across the bow is a warning not to continue farther.